"Dearly beloved, Children of Light, as you know we are called Gabriel. And as always, we are most joyous to be in your divine presence. It will be a year unlike anything you have known. It will be a year of interruptions and shake-ups unlike anything you have known. It will be quite shocking to the systems of your world. But we want you to know that it is only an interruption of some of the things that have been out of balance, so that you will be encouraged to find deeper solutions. You will be encouraged to look at the choices that have created such imbalance. This will be a year of balancing the scales in many ways. This will likely create a contraction to begin. but it is an important thing for you to understand. All things seek balance. All things seek health. Just as all energies in your body are attempting to move into the flow of love and into an alignment with the soul will. This often creates a push against your lower will, which has in so many ways been ruled by the lower self and the compensations that you have sought outside yourselves. The wisest thing you can do to prepare for these interruptions is to proactively look at your own life. How can you balance yourself ahead of the curve. Balance your spending. Balance your nurturing of self. Balance the choices that sustain your physical health. Balance your look inward, with your continued investment in the world around you. To simply look to the outer world for the sustaining of your well-being, without an inner look, is one of the primary things that is being interrupted at this time. At least an attempt is being made to interrupt this imbalance. You must return to the source of your inner sacredness. Without an interruption in the outer world, you have remained much like a child who does not want to give up the gratification of whatever has got its attention at the moment... to make space to recognize other needs which are being neglected. This is the shake-up and the balancing of scales that are beginning to take place in this year... so that you can begin to recognize the needs that are being ignored. It will begin a movement that will catch you by surprise, unless you begin to proactively look on the inside, deepening your relationship with yourself. Look for the wounding that you have carried. Look for the fear, shame and judgment you have carried. Go to those things and heal them on the inside, so that you life can continue to flourish through the shake ups. If you do not, and you merely remain caught up in the outer attachments, you will find yourself in a bigger shake up than is necessary. You will find yourself grasping for the old, familiar... rather than being ready to trust that the Universe is inspiring these shifts to serve the Higher Good of All. You live in a world that has much to learn about how to value... starting with self. You live in a world that needs to find the meaning in life at deeper levels. There are plenty of you who have begun this journey and it is important that you not only continue this journey, but that you encourage healthy choices in the lives of others. There is much talk in your world about all that is out of balance, and about all that is moving away from "valuing people, the planet and valuing period." The wounded child facet of yourselves would rather complain about "those around you" who are responsible for such choices. While the wiser parts of yourselves would be willing to look to self, to see where you might have been practicing similar things... choices that do not practice mutual value and those things which serve the good of the whole. Where are you valuing? Where are you in balance, between the inner and the outer, between giving and receiving, between trusting the Universe and trusting only the old, familiar ways you have learned to survive? Where there is imbalance in these things, there must be an interruption and a shake up. These things get your attention and encourage you to come together with one another to begin figuring out deeper solutions. This is necessary. Help one another. You have all, to some degree or another, gotten caught up in the wounded fear of looking out for self. This comes out of your family systems that have gotten further and further away from investing in the good of the whole. When you grew up and did not receive all of the nurturing investment that you needed, you learned to mistrust Life and one another. It is time to find out that there are deeper facets of yourselves that actually need one another in tremendous ways. This will be a year that begins to encourage such things. Respond now. Begin to evaluate your life now. Where are you valuing now? Make the adjustments that are needed now, the choices that practice reaching out for support, that practice offering support, that practice communicating about your misunderstands and wounded feelings. You must learn to take responsibility for nurturing and resolving these things inside yourself... and then with one another. You must learn to reach out to those who have dedicated their lives to teaching others how to resolve the inner emotional wounds that you have carried. There will be much contraction at this time. Many of the old systems are not working well enough to take you into a next level of consciousness and potential. This is because those systems were created by wounded individuals, who have done their best at this last level of consciousness and capacity for negotiation. But those systems need to grow into wiser solutions now. Encourage one another as you face this time of shake ups. It is truly asking you to seek deeper within yourselves. Reach out and seek those who have tools you can learn. Use this as a time of tremendous nurturing, so that you learn what is truly of value in your lives... rather than trying to fill yourself with one more vacation or toy or distraction. These things are not bad and wrong. They are merely not capable of creating an inner stability and trust of life. Those things are merely "enhancers", as this channel likes to say. They can enhance what is stable and in balance on the inside. Yet, they are not the source of anything, except an opportunity to create an experience. It is time to seek deeper, dear ones. It is time to wake up to the fact that some things cannot serve you at the next levels of life. You have already gotten used to letting go of many things over the years of your lives... things that no longer serve you. A most primitive example would be letting go of wearing diapers and sucking on a pacifier. We choose this example, because it is clear about what eventually does not serve you for moving into more mature set ups in your life. We do not choose the example as a way to infantalize you. We are merely trying to make clear that you are capable, strong and powerful individuals... if you will only seek deeper to glean the gifts that lie in the depths of yourselves. This will be an encouraging year to look deeper. What the experience will be for you will be completely up to you. Become a part of the inner solutions, that can then be brought out as outer solutions that are born out of value and an ability to trust that transformation is indeed possible. The outer solutions involve working together toward systems that serve the good of the whole. You governments and social systems have not been structured out of a deep desire to serve the good of the whole. This, once again, comes out of a wounded world... a child who did not get nurtured and trust that their individual needs are truly cared about. The wounded child inside you needs to learn that it is a possibility for their needs to be fulfilled. That is entirely possible. However, you must create an experience in your own, individual life of nurturing and mutual value before you will be able to trust that it is possible. You have merely lived in a world that has not yet learned how to do these things as fully as you need. Some are learning to do these things now. You will need to become less dependent on the outer things, the outer distractions and the outer systems that cannot take you into a genuine experience meaning, value and purpose. This is a glorious time of interruption and seeking to balance the scales of life, so that you can flow into the next depths of your individual and collective potentials. We stand ready to serve you. Reach out to higher beings. Reach out to the sacredness of Life. But most importantly, reach out to one another. There will be tons of individuals who need encouraging support around you. 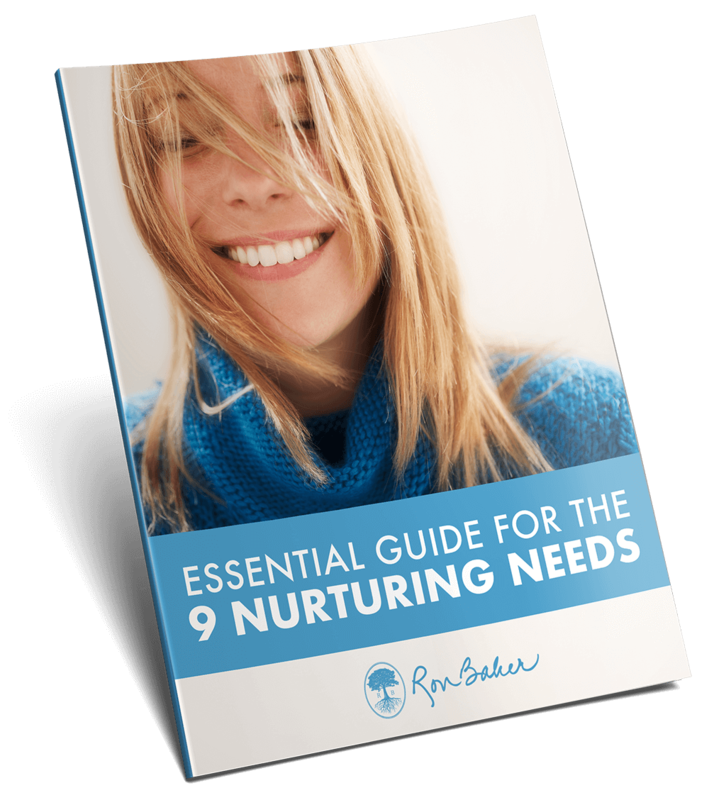 You will likely need tremendous amounts of nurturing support as well. To recap, we ask that you go ahead and look at your lives more closely now. Look and see where you are in balance or where you lack balance. Look and see where you are still ruled by fear, shame and judgment... or where you know how to resolve these things on the inside. As you do, you will find yourselves less like wounded children caught up in outer distractions and more like solid stable adults who trust themselves and seek to trust one another in mutual support and value. These things are entirely possible for you to create. There will be a learning curve that is needed, as there is in all things. We simply suggest that you go ahead and begin to seek to move into that learning curve. You will feel much more empowered if you begin to seek these things yourselves, rather than waiting until things are shaken up and interrupted around you. You actually need to depend on these outer things much less than you would imagine. New systems can be built that truly serve a deeper balance. The more you seek to serve the good of the whole, the more you will create a flow with the new energies that are flowing into the planet... that only know how to support and flow in value. It is a new resonance that is building on your planet energetically. There more you align with this soul level of consciousness and resonance, the more you will find yourself being supported into the new opportunities and the new level of universal support that is there. This is much like a parent who would need to interrupt a child who wanted 10 cookies before dinner, the Universe is supporting all of you. If you merely fight for your cookies, you will be miserable. If instead, you will merely follow those who are learning how to move in balance, and practice similar things in your own life, you will learn how to build the resonance that will allow you to have all of the things that you need... in even more meaningful ways than you have known. This is what we see for the year of 2018. It is a time to learn to work together. Even in numerology, it is a year of "two's". Actually it is a year of "11", which is numerologically the energy of moving things into the higher octave of relationship with everything else... the spiritual or sacred relationship of all things. This is the meaningful potential that is being encouraged in this year. We will be with you every step of the way. Remember that it is all unfolding according to a Divine Plan. That is attempting to lead you, by simply interrupting what is no longer working, while providing inspiration and clues about what you truly need next. Seek solutions more than getting caught in contractions of fear, shame and judgment. Nurture yourselves and one another. And now, as we take your most joyous leave, we ask as always that you remember to love one another each step of the way. Blessed be."